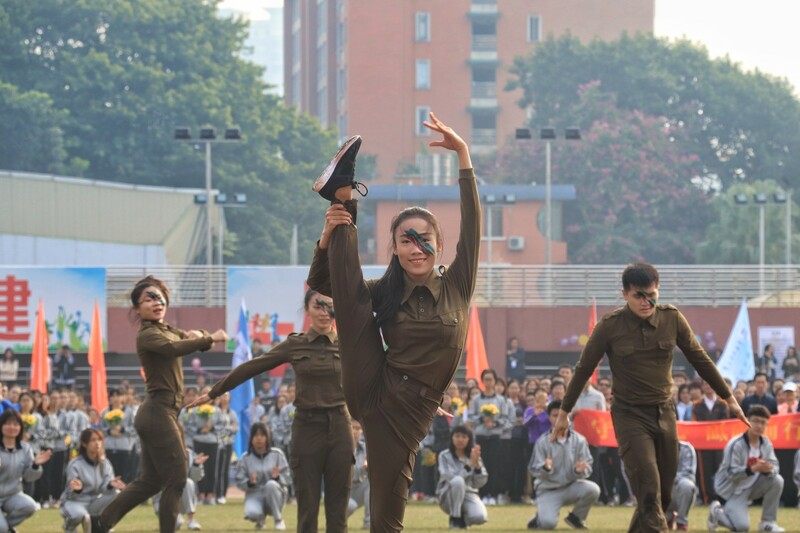 From November 30 to December 1, the opening ceremony of the two-day Sports Games of South China Normal University 2018 officially kicked off. 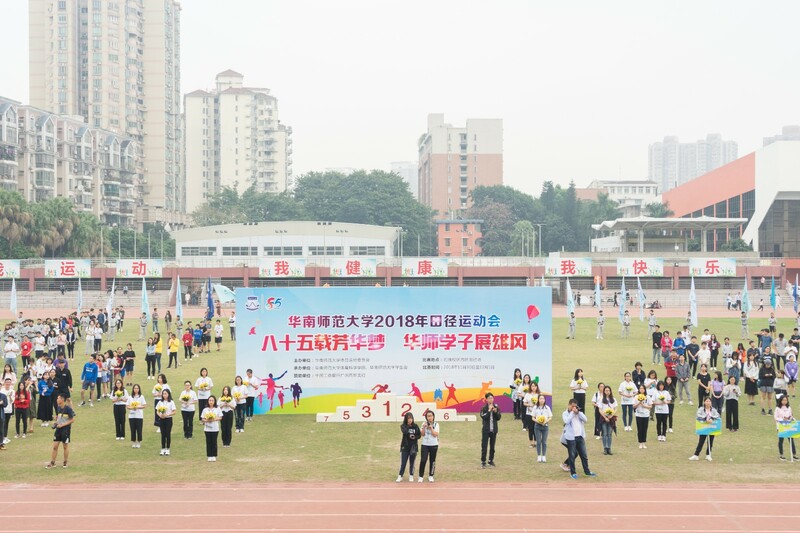 Under the theme "eighty-five years of youth dreams, SCNUers show their vigor," the sports games comprised 17 individual projects and 2 collective projects with a total number of 1,136 participating athletes from 26 schools on three campuses, 129 referees and numerous teachers and students assisting with the games. 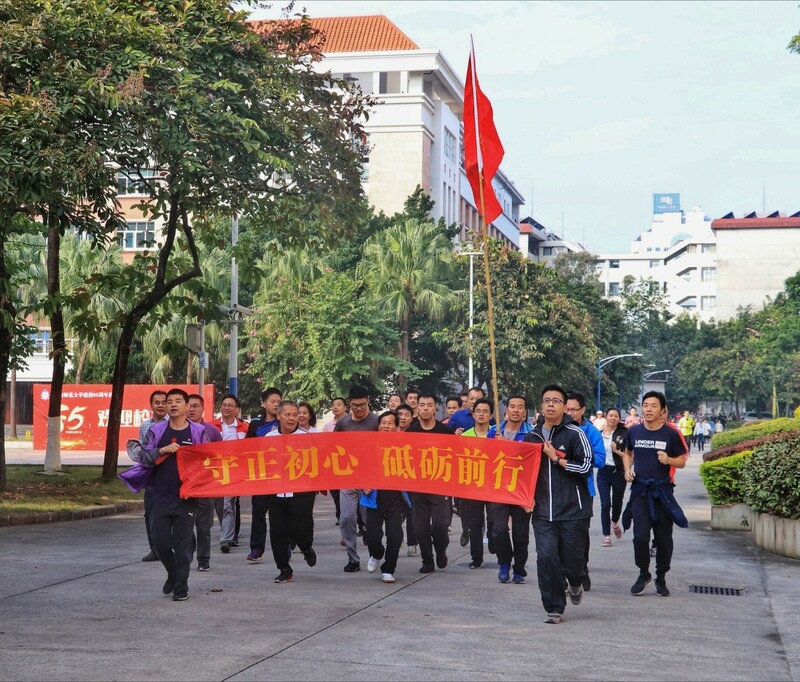 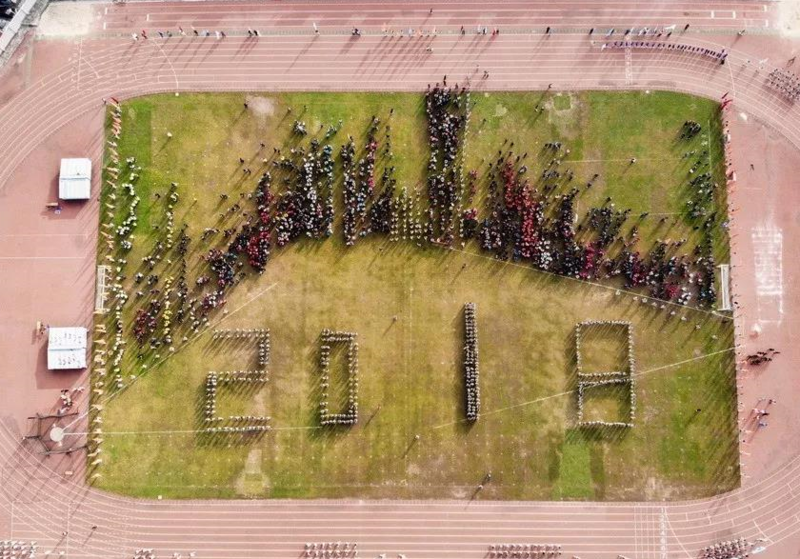 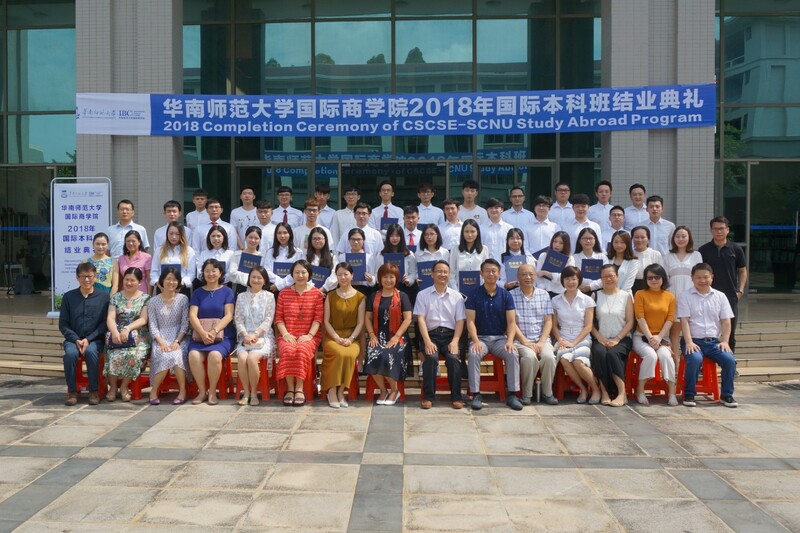 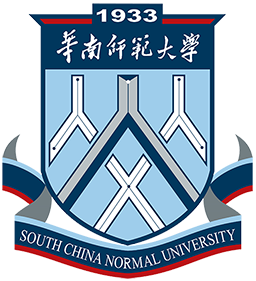 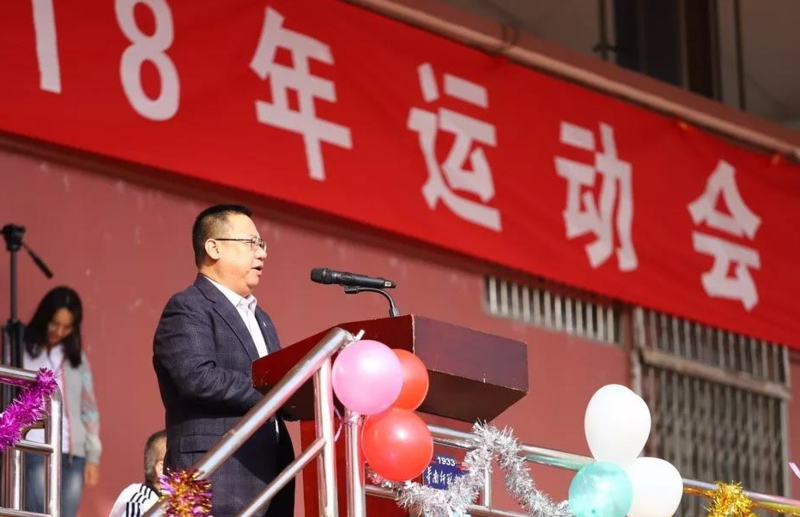 At the opening ceremony, president Wang Enke delivered a speech, in which he encouraged teachers and students to show the spirit of SCNU in the new era and further inspire teacher' and students' enthusiasm through the annual sports event. 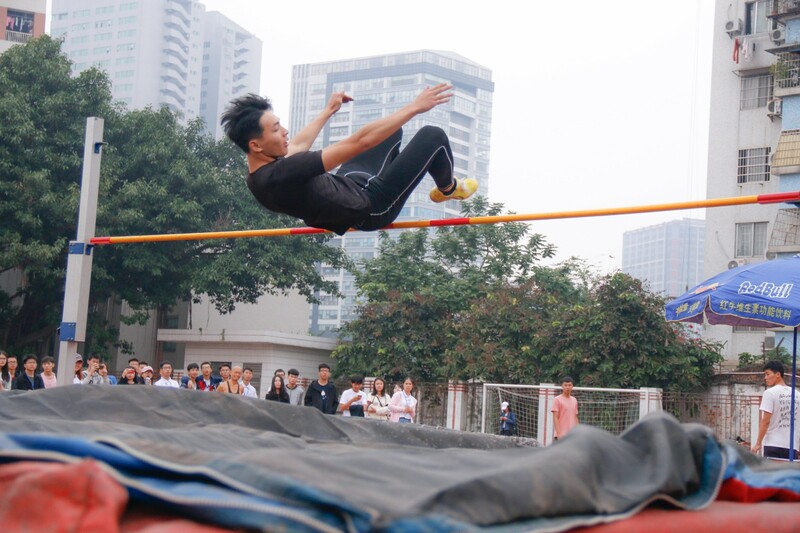 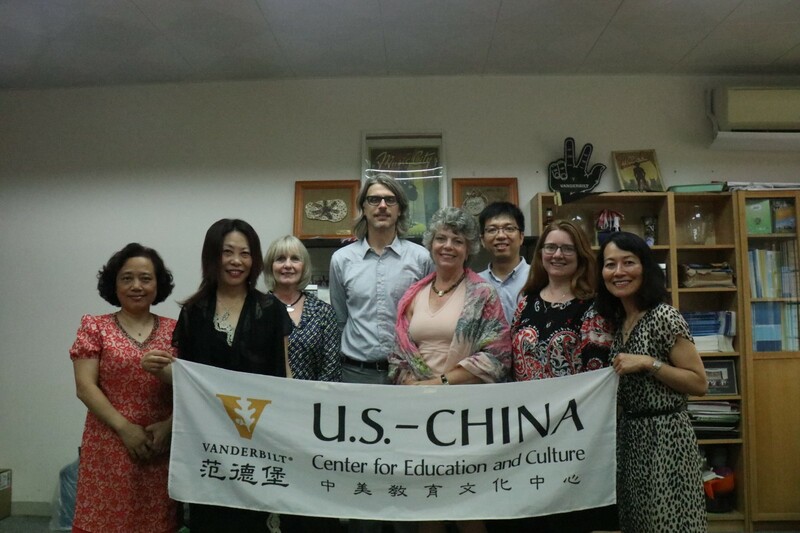 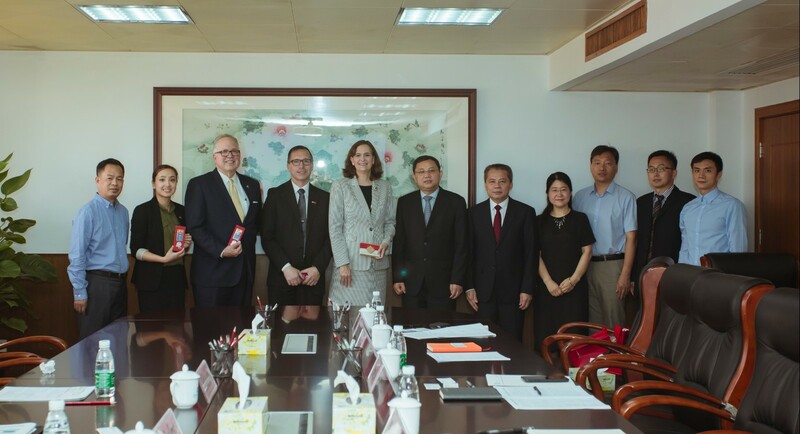 Guided by the Olympic motto "higher, faster and stronger", we should have firm convictions and have our feet firmly on the ground to strive for the early realization of school educational goals. 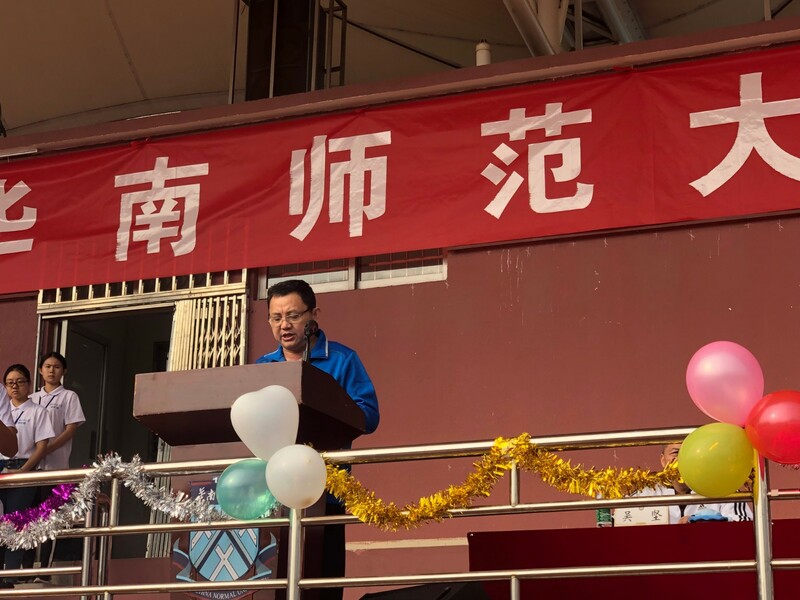 Then, Zhu Kongjun, secretary of the school party committee, announced the official opening of the sports meeting. 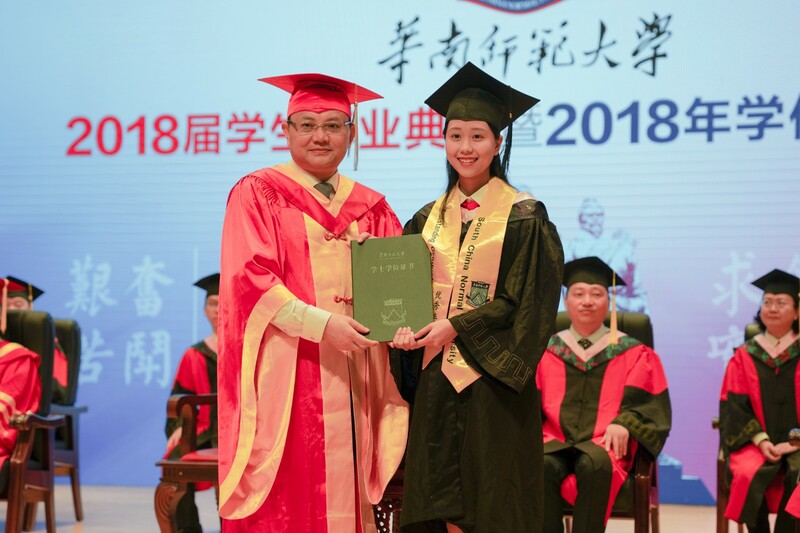 Zhang Wenting, as representative for the athletes, and Feng Daoguang, as representative of the referees respectively swore the solemn oath. 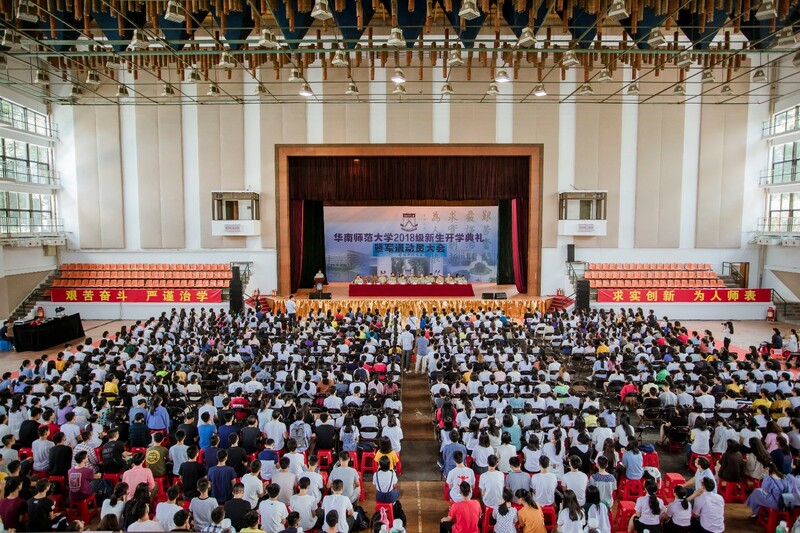 Also attending the opening ceremony of the school sports meeting were the deputy secretary of the school party committee Huang Zhaotuan, vice president Shen Wenhuai, vice president Wu Jian, vice president He Jingtao and other school leaders besides more than 4,000 teachers and students, who jointly watched the wonderful opening performance. 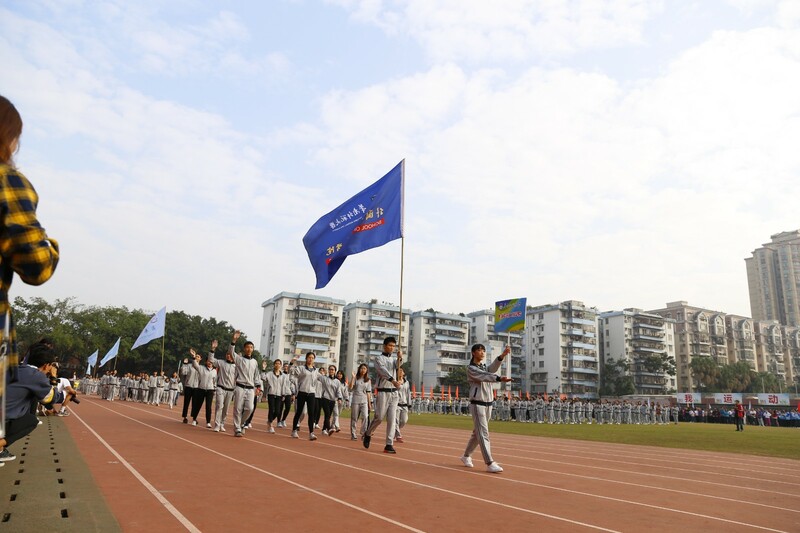 After the opening ceremony, all staff, wearing sportswear, began to jog around the campus at a vigorous pace. 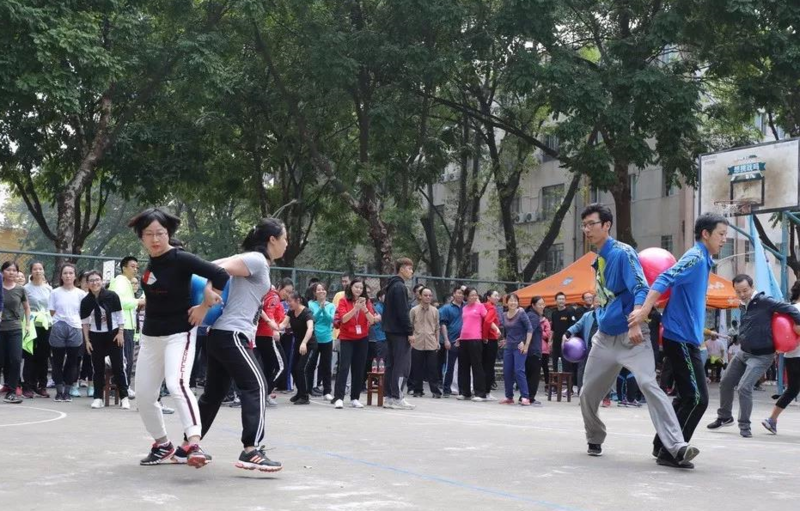 It is worth mentioning that faculty marathon and faculty fun games were also held on the same day this year. 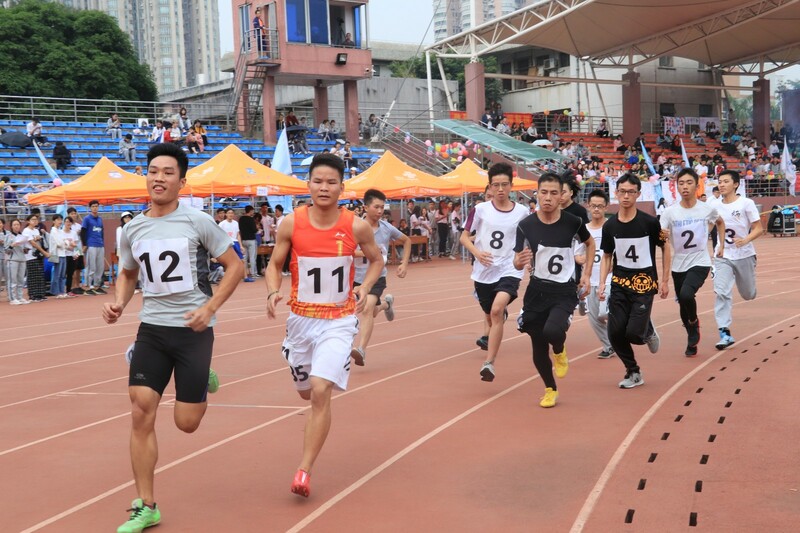 It is understood that starting from this year, the school will simultaneously organize the atheletic games, the faculty marathon and faculty fun games, so that teachers and students can participate in them together encouraging a new trend of campus sports in the same spirit and unity.